Riot Blockchain remains in hot water after changing its name from Bioptix Diagnostics to Riot Blockchain in October of last year. 2018 has been a tumultuous year for Riot Blockchain (NASDAQ:RIOT)–a company known as Bioptix Diagnostics up until October of last year–as more lawsuits have been filed against the company. This particular accusation states that between October and February, the company made false and misleading statements that its executive offices were in Colorado, not Florida, where shareholder Barry C. Honig was located and who had a close-knit relationship with Riot’s CEO John O’Rourke. Other allegations have recently been made as well. Two more firms made announcements on Wednesday, including Pomerantz Law Firm and Bronstein, Gewirtz & Grossman, detailing similar complaints and asking to recover damages from Riot Blockchain for violations made of the federal securities laws under the Securities Exchange Act of 1934. Law firms Faruqi & Faruqi, Kahn Swick & Foti, Haeggquist & Eck, Levi & Korsinsky are other notable legal counsel who have filed class action lawsuits against Riot Blockchain in March alone. The most recent allegations join the laundry list of lawsuits filed against Riot Blockchain so far this year. 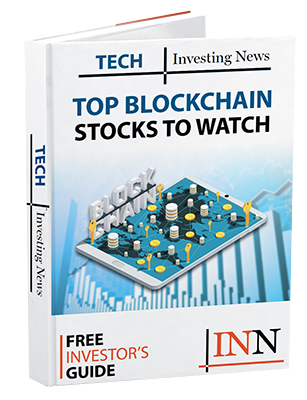 The initial claims were instigated in February when there were three submitted class action complaints filed against the company claiming it manipulated its share price by changing its name to include “blockchain” despite having any knowledge or expertise in the industry. Over a five-day period in the days leading up to its name change (September 28 – October 3), Riot Blockchain’s share price increased 89.49 percent, and then another 26.93 percent to close at $8.18 on October 4, 2017–the day the company announced its name change. By December 19, Riot’s share price had skyrocketed to $38.60–a 371.88 percent increase over a two-and-a-half month period–which represents the alleged artificially inflated share price increase. CNBC published an investigative piece in February at the time around the initial lawsuits had been brought on stating that Riot had made “questionable moves” by paying more than $11 million for cryptocurrency mining equipment that should have only reportedly cost $2 million. In addition to that, the investigative report stated that Riot Blockchain routinely postponed annual meetings at the eleventh hour and had insider selling following the company’s name change, to name a few. The various allegations made against Riot Blockchain noted above have been filed in at least three US states including Florida, Colorado and New Jersey.